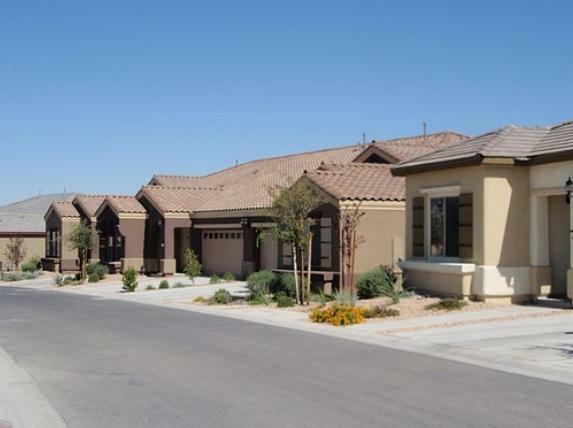 The Villas at Solera homes at Anthem is a town home community located inside Solera and is a 55+ active adult community. One of the main attractions to owning a home in the Villas at Solera homes are the ability to get a hassle free living experience while maintaining all of the amenities of living in Solera including access to the club house and the ability to be centrally locaed to all of the services of the Anthem community. The Villas at Solera homes in Anthem feature one story attached town homes and provide a vast range of floor plans to suit your needs. In order to view all of the town homes for sale in the Villas at Solera homes in Anthem, click the link below. If you would like to view any of these town homes, please feel free to contact one of our real estate experts and they will be happy to assist you.